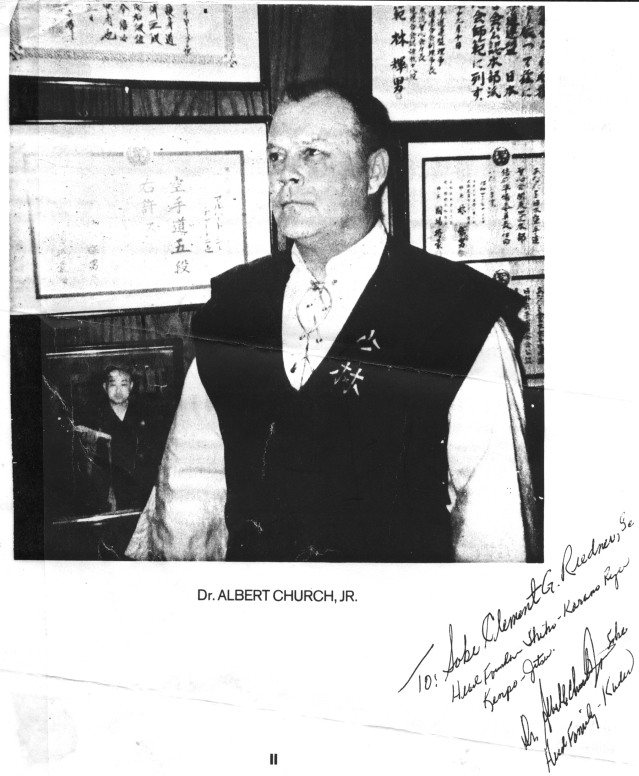 Clement G. Riedner began training in May of 1962, studying Motobu-Ha Shito Ryu Karate while in the U.S. Air Force. While stationed in Japan he studied mostly under a Japanese Air Force (JSDAF) NCO named Kayo-San and with fellow American student Richard P. Bailargeon. He also had opportunity to study with Soke Kuniba. 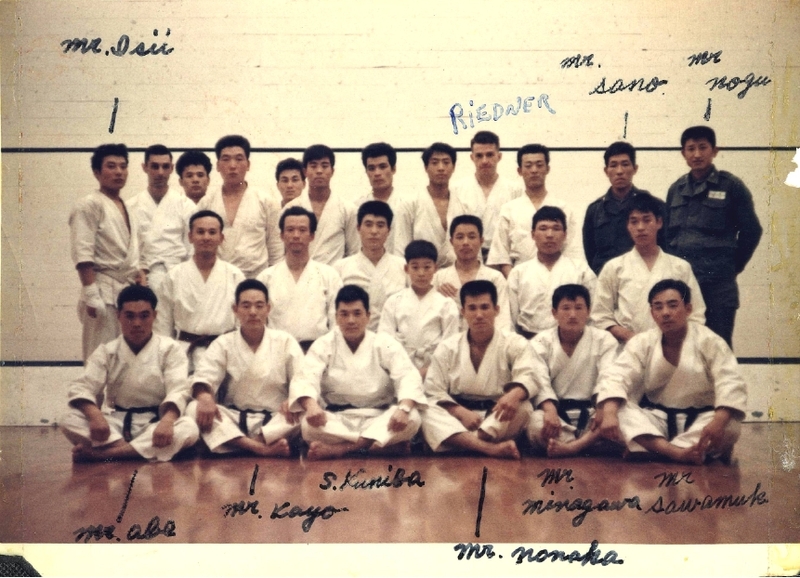 Though many American servicemen studied karate in Japan at this time, few were able to take advantage of this opportunity as much as Soke Riedner. Before returning to the U.S., he was able to learn most of the kata of the Motobu-Ha system as well as some Kobudo from Soke Kuniba. Soke Riedner receiving his Brown Belt from Kayo San in 1964 (Tokyo, Japan). Soke Riedner, Siyogo Kuniba, and Kayo San. 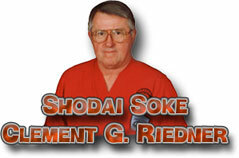 Besides pursuing martial arts studies, Soke Riedner has achieved much in his academic career. Earning his B.A. and M.A. from Bob Jones University, another M.A. from Columbia Bible College, and finally his M.Div., Ph.D. and L.H.D. from Great Plains Baptist College. Armed with this education Dr. Riedner was awarded an appointment as a CAP/USAF Chaplain at the rank of Major. He is also a retired Army Reserve NCO. This background of hard and soft fist arts, education and military service has prepared Soke Riedner to lead an organization with the scope and emphasis of the CBBA/SKKI.